Join us for an amazing High Holiday Kids Program! Featuring special activities with instructors so parents can pray and children can play! 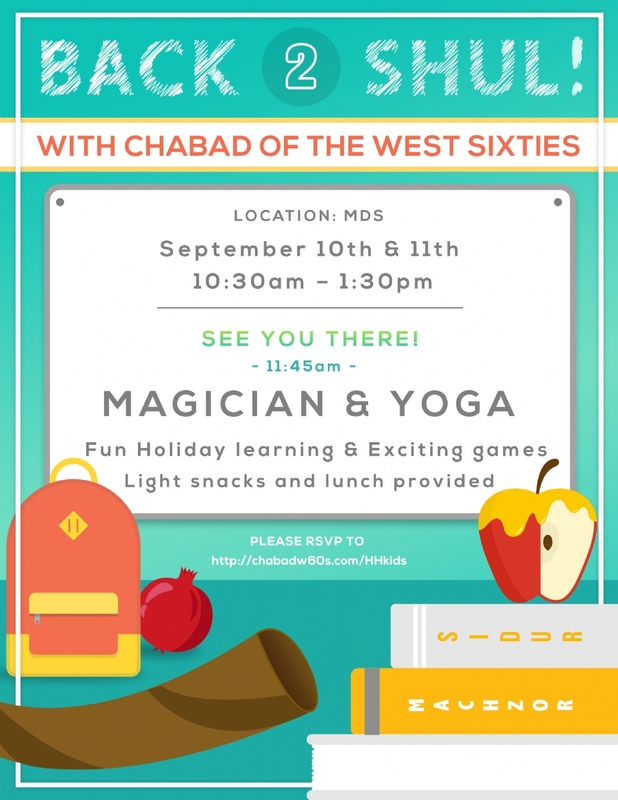 Daven, Hear Shofar, Play Educational games and activities related to Rosh Hashana and Yom Kippur themes! Prizes, snacks and lots of fun! Sign up to let us know how old your children are so we can expect them and prepare accordingly. Any and all donations welcome to help defray our costs. Which holidays will you be joining us for?